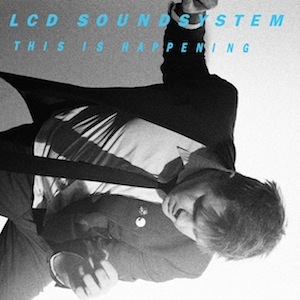 I have a weird relationship with LCD Soundsystem. I had only ever listened to a single song of theirs before this, but I still feel as if I have a connection to the band. I read about all of the drama that went on with their farewell show last month, which was pretty intriguing to me. In case you missed it, James Murphy—the mastermind behind the group—put together the band’s final show at Madison Square Garden, which sold out in a matter of seconds. He then went on a few amusing anti-scalper Internet tirades, which you have to love. He then did the cool thing, and added five Terminal 5 shows leading up to the big one at MSG. Murphy just seemed like a cool guy, and I felt a tie between LCD Soundsystem and me (“and I?” No, “me” is correct here I think) even though I had no idea what they sounded like. I even felt a bit sad that they were calling it quits. I almost wanted to avoid their music completely, just to make sure that I didn’t ruin this special tie I had to the band. I know, I’m weird as hell. Plus, the main thing that I love about music is going to concerts, so if a band has just had their final show, I have less reason to check them out than, say, other bands on the Lollapalooza lineup. I probably should have stuck with what I originally intended to do—never listen to their music. 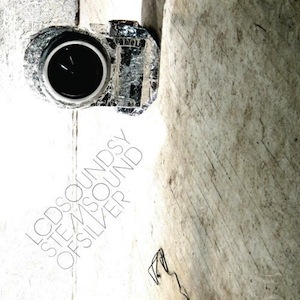 Sound of Silver is really boring. It’s pure, unadulterated, uncompromised, unabridged, dance music. Because of this, the songs are extremely repetitive, and go on for way too long. It took a lot to get through the whole record, which is almost an hour long, even though it’s only made up of nine songs. Suddenly, I care about the group’s breakup a lot less.